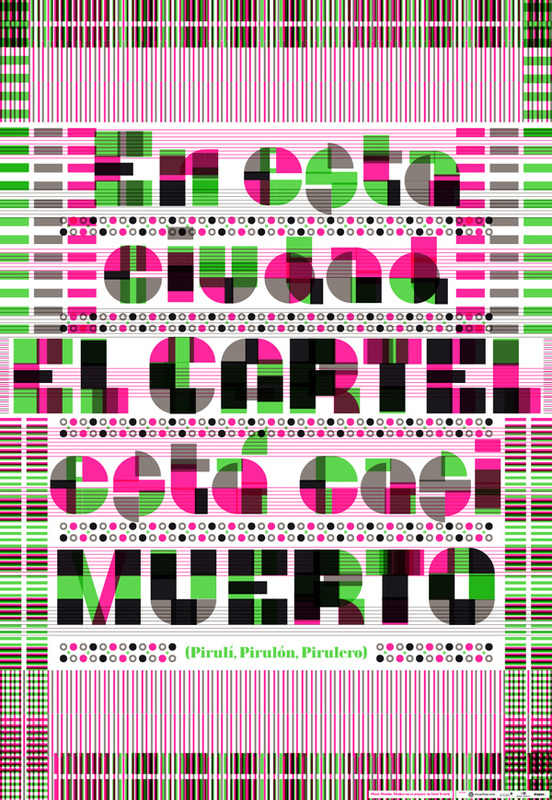 The project Pirulí, Pirulón, Pirulero began with a poster on which I proclaimed: “In this city, the poster is almost dead”. 500 posters bearing this statement were distributed in Barcelona. Why? 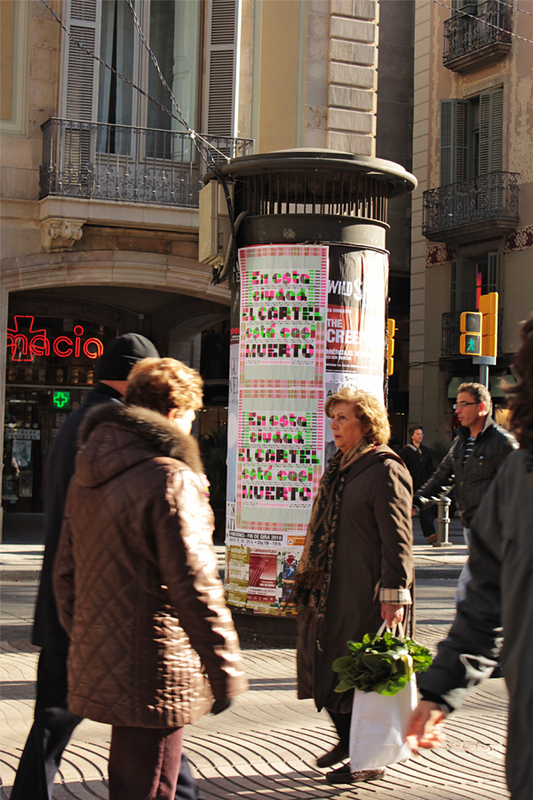 Because the poster’s status has changed: It’s no longer visible on the streets of Barcelona. In large Spanish cities, it doesn’t make sense to create them anymore because there aren’t any places suitable for display. As something once popular, the poster is disappearing before our eyes. 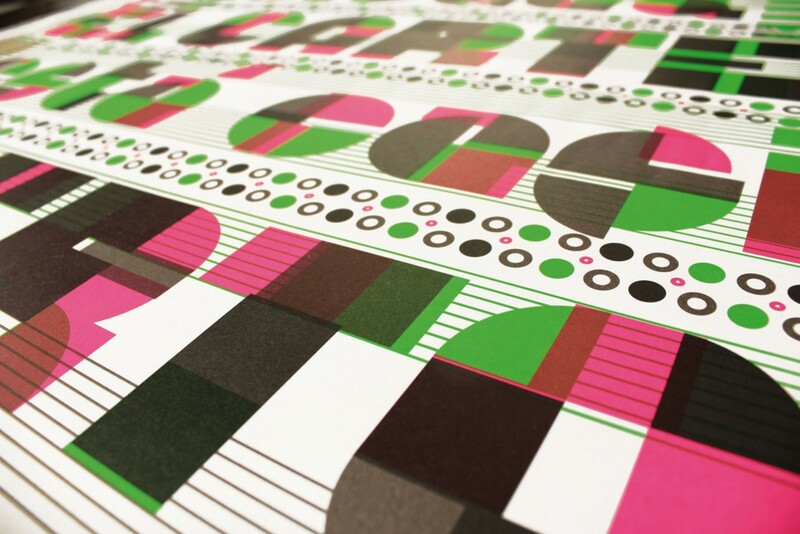 Why isn’t there a regulated, more democratic way of showing the world a good poster? Why aren’t there more platforms? 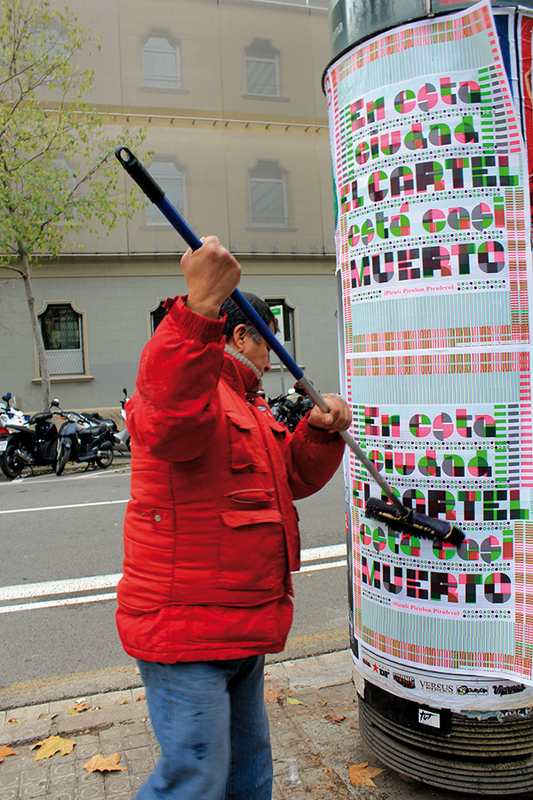 The poster can’t continue to inhabit the streets anymore without depending on private or public funding.